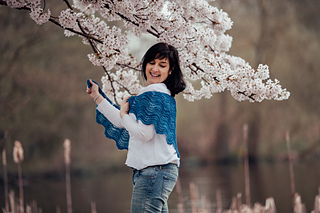 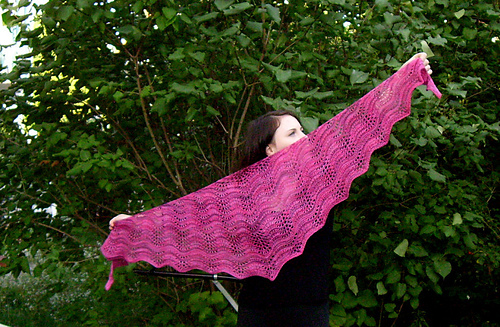 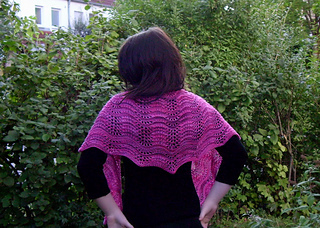 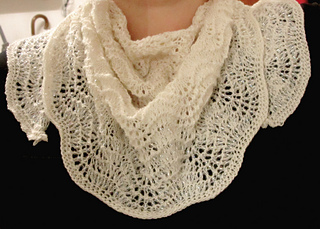 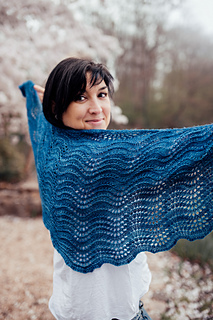 Sea Line Shawl is a crescent shaped shawl worked from the neck outwards. 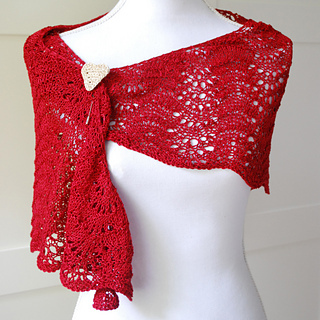 Its deep curve allows the shawl to hang freely on your shoulders and no fall down. 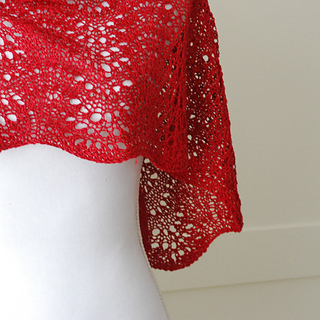 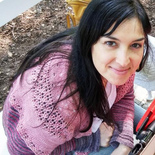 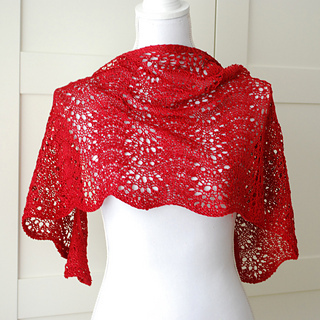 Small red shawl. 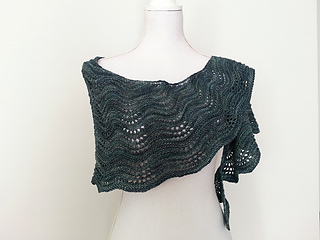 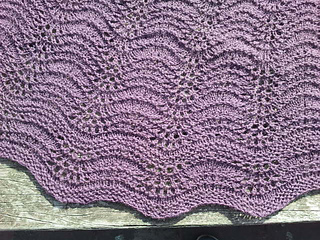 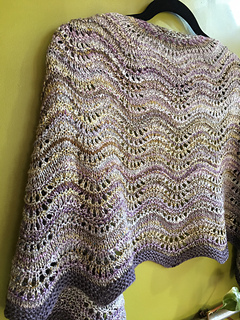 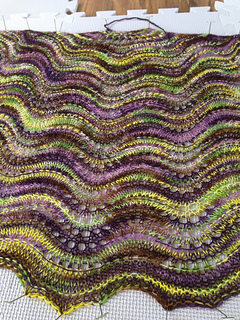 Katia Bolero (54% cotton 46% polyester, 137 yards per 50 gram skein) in shade 14 (cotton). 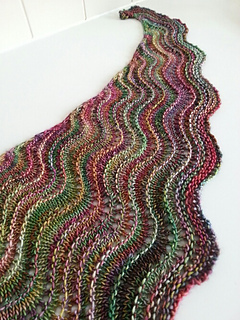 Any other DK weight yarn can be also used. 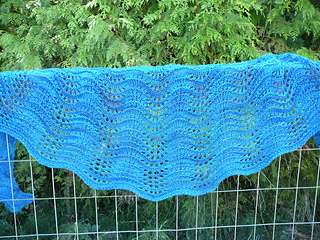 3 skeins. 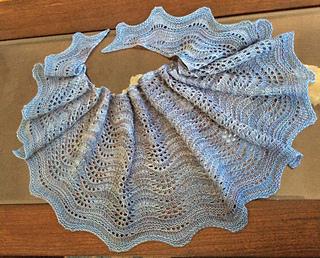 Large blue shawl. 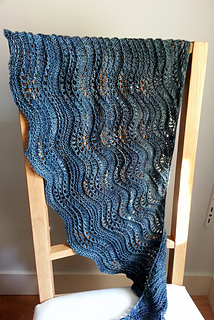 Malabrigo Sock Yarn (100% Merino, 440 yards per 100 gram skein) in “Aguas”. 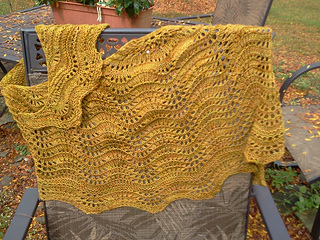 1 skein. 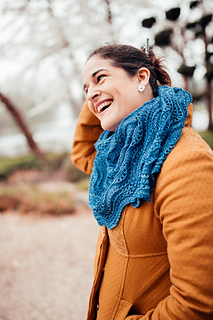 You can decide your own adventure by alternating the charts.